SMBs are encouraged to use .com for their business websites due to its availability, credibility and stability in over 18 years. 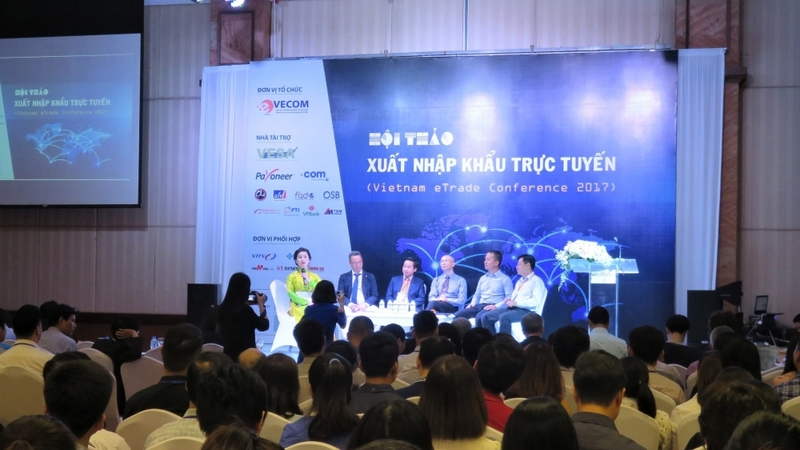 With the aim of supporting businesses and organizations to better deploy e-commerce in export-import operations, the Vietnam E-commerce Association (VECOM) organized Vietnam eTrade Conference - VETC in Hanoi. 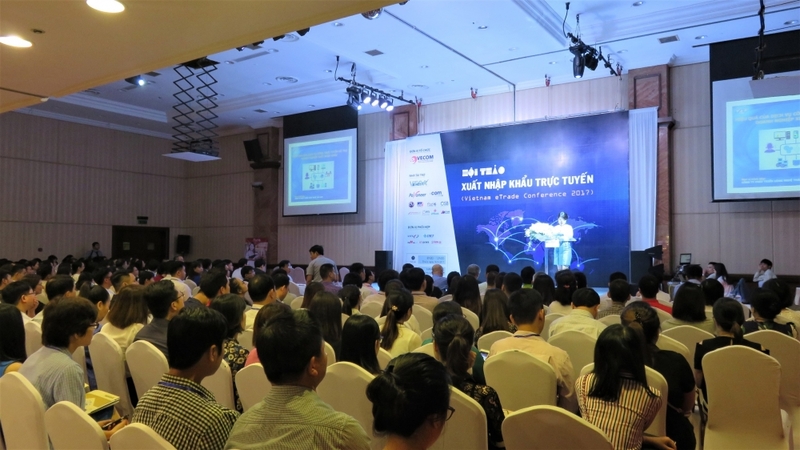 This is the first year the conference was held in Vietnam with the focus on online export and import. According to the General Statistics Office of Vietnam (GSO), SMBs accounts for 97% of the total number of businesses in Vietnam with 51% of total labor force and over 40% of GDP. The high volume might lead to oversupply and high competitiveness. Many businesses will have to be winded up if they fail to find new directions. In order to overcome these difficulties, finding new ways to expand the market is a necessary. While import-export business is a complex commercial activity, e-commerce helps businesses to improve efficiency at all stages, from marketing, trade promotion to contract implementation, customs formalities and procedures and payment process. Vietnam’s E-commerce is developing rapidly while the retail sale of e-commerce is forecasted to reach US$10 billion in 2020, accounting for 5% of total retail sale. Moreover, B2B e-commerce transactions are expected to occupy 30% of export-import turnover by 2020. According to Vietnam Business Index 2017, many Vietnamese businesses have applied e-commerce to boost their export-import operations. In addition to more access to online public services including customs administration and certificates of origin issuance, businesses have been proactively using Internet to communicate with foreign partners, search for customers, conduct transactions and deploy contracts. 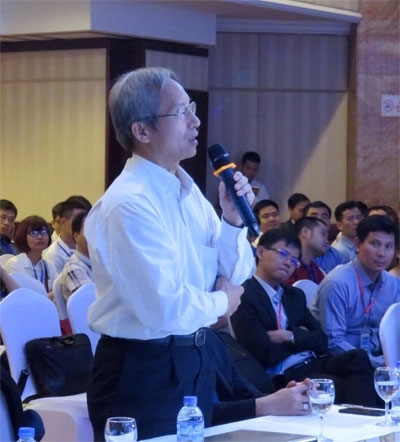 At the conference, many reputable speakers in different fields such as commerce, e-commerce, logistics, payment, etc… have shared their experiences and knowledge about the trend of online export and import as well as the opportunities of developing export-import activities for Vietnamese enterprises. This conference has remarkably received content contribution from many well-known brands, including Vietnam Export Support Alliance - VESA and Verisign who is also one of the key sponsors. “The most effective way to succeed with e-commerce is to have a website to spread your messages, foster relationships with the broadest customer audience and thereby, extend your business beyond boundaries. The first step towards building a successful and credible online presence is to choose the right domain name”, Hung added. “By using trusted domain extensions, there is a level of credibility awarded to these businesses. Considered the global standard for doing business online, numerous global enterprises, including Fortune 500 companies, have chosen .com to build their websites with the desire of extending beyond the local audience and bringing their products to the hands of global customers. Additionally, with the operational accuracy and stability of the .com DNS infrastructure for more than 18 years, businesses are encouraged to choose .com to be the basis of their online presence,” added Mr. Nguyen Tu Hong Quan, Director of Nhan Hoa Software.